Linux Mint 17.2 is a long term support release which will be supported until 2019. It comes with updated software and brings refinements and many new features to make your desktop experience more comfortable to use. In the Software Sources configuration tool you can now open PPA archives and browse their packages. You no longer need to switch to another tool to install what you were looking for. 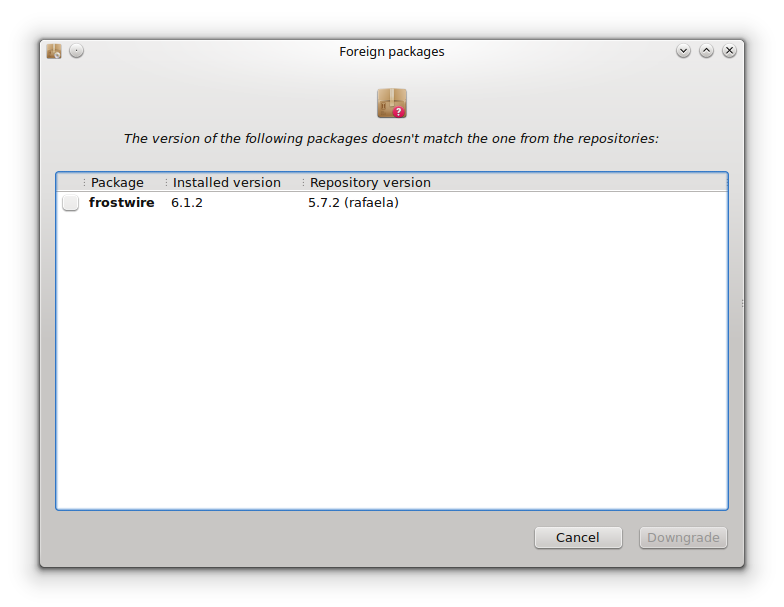 The tool is now also able to list foreign packages and to downgrade them. 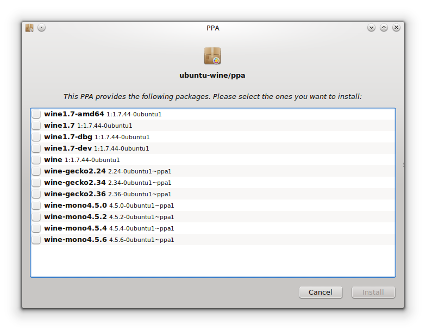 Foreign packages are a new APT concept in Linux Mint. A foreign package is a package which origin and/or version is unknown and which doesn't match what is available in repositories known by your operation system. Click on Maintenance -> "Downgrade foreign packages"
This, along with the new "apt recommends" command, makes it easier to solve APT-related issues and to clean your Linux Mint system. Packages can now be aliased and presented under a different name than their package name or source package name. When this is the case the original package names also appear in the interface as secondary information. This is used by Linux Mint to group related packages together or to present them with simpler and more understandable names. For instance, updates for "cjs", or "muffin" which are essential to Cinnamon are now presented as "cinnamon-cjs" or "cinnamon-muffin" and appear just beside other Cinnamon updates. Aliased packages are also localized in your language. Localization isn't handled by dpkg. Ubuntu and Debian provide an incomplete layer of translation to APT and this was missing until now for Linux Mint packages. 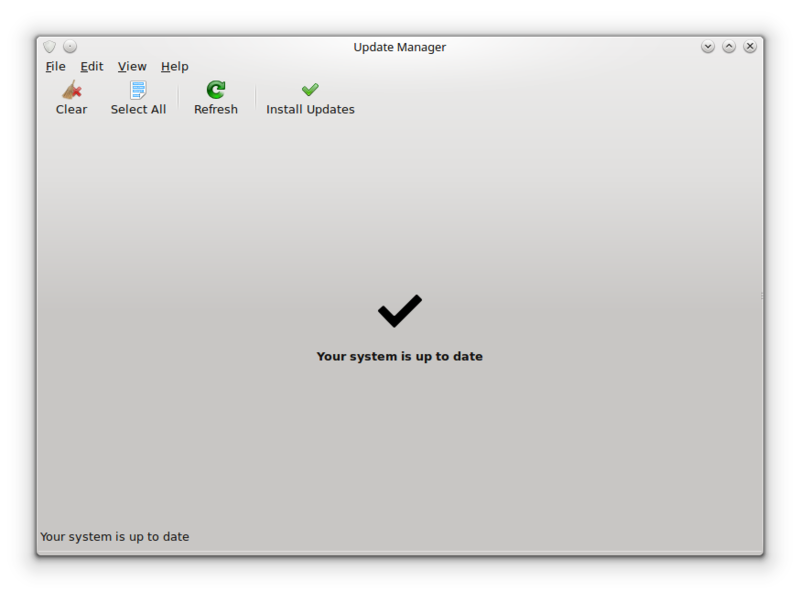 The Update Manager now uses the entire window to show errors when they happen, or to report that your system is up to date. A new configuration option allows you to hide the Update Manager system tray icon when no updates are available. A new configuration option allows you to hide the Update Manager window automatically after updates are applied. Just like in the Language Settings, flags for minoritarian languages are now also supported. Grub was updated for Linux Mint 17.2 and brings better UEFI support and better compatibility with modern computers (this is known to fix live boot and graphical issues on many computers). The NVIDIA drivers were upgraded from version 331.113 to version 346.72 to support recent NVIDIA chipsets. MDM was given better support for NVIDIA Prime. On NVIDIA Optimus equipped computers, you can now switch between your Intel and your NVIDIA card with a simple log out. You no longer need to reboot. The bash command completion was improved. The terminal is now able to better auto-complete the commands you type and also their arguments. The bash history was improved and no longer accepts duplicates. 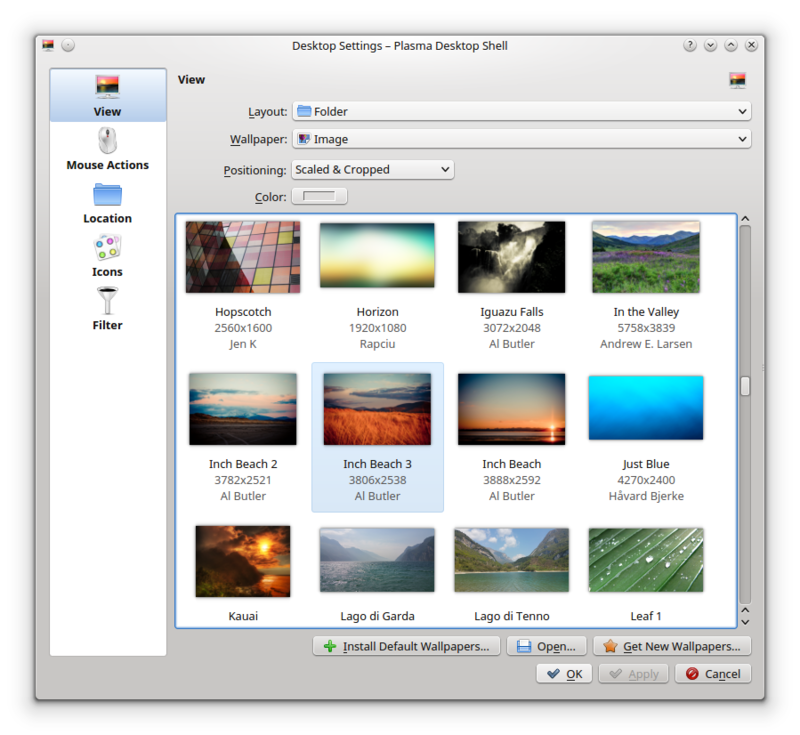 Linux Mint 17.2 features a superb collection of photographs from Jen K, Kenny Louie, m1r0r1m and backgrounds from Rapciu. 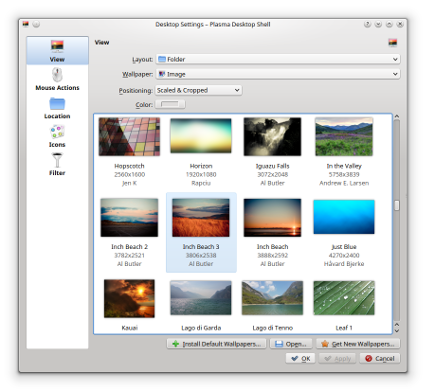 All the backgrounds from Linux Mint "Maya", "Nadia", "Olivia", "Petra", "Qiana" and "Rebecca" are also present, as well as a nostalgic selection of the best backgrounds from the early days of Linux Mint. The USB Image Writer and the USB Stick Formatter now recognize a wider variety of USB sticks. They also feature improvements in terms of partitions alignment, boot flags. Sticks are better described and the tools also now use less CPU than they did before..
LibreOffice was upgraded to version 4.4.3. 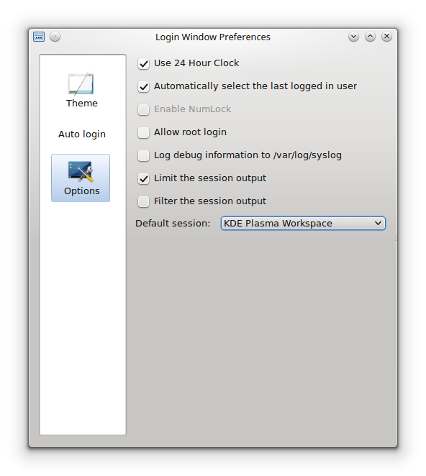 HPLIP was upgraded to version 3.15.2, for more HP printers to be recognized and supported. In the repositories, Inkscape was upgraded to version 0.91. 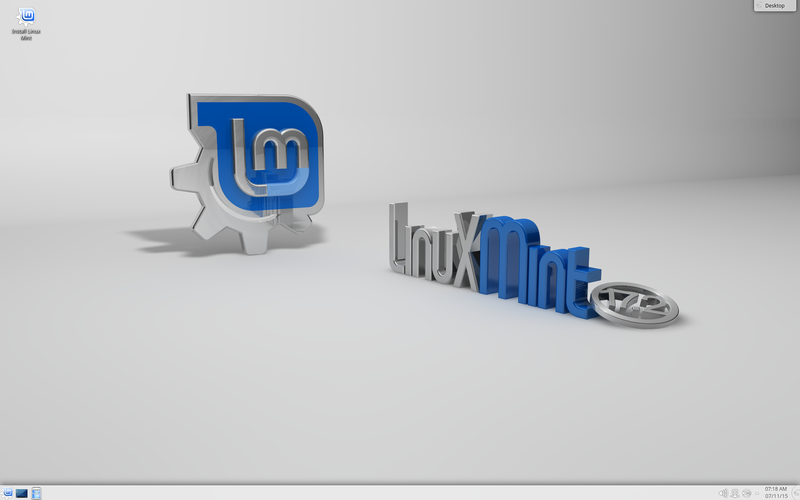 Linux Mint 17.2 features KDE 4.14.2, MDM 2.0, a Linux kernel 3.16 and an Ubuntu 14.04 package base. Linux Mint 17.2 will receive security updates until 2019. 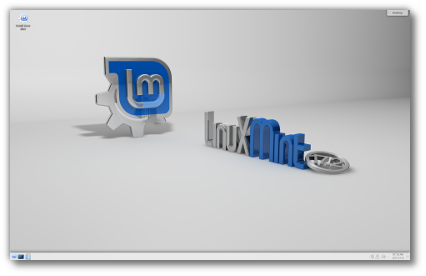 Until 2016, future versions of Linux Mint will use the same package base as Linux Mint 17.2, making it trivial for people to upgrade.